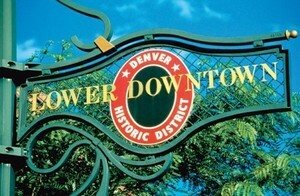 Denver's 26-block Lower Downtown district, affectionately known as LoDo, is one of the hottest spots in the city. 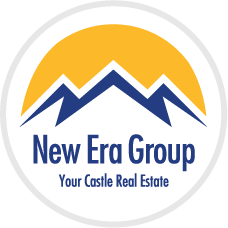 With more than 100 restaurants, 30 art galleries, numerous nightclubs and boutiques, hip urban lofts, and elegant condominiums, the neighborhood bordered by the Platte River, Speer Boulevard, 23rd Street and Lawrence Street has been transformed unlike any other in the metro. A revitalization success story, the LoDo neighborhood provides a unique link between past and present. Denver was founded in the LoDo area in 1858 by General William Larimer, Jr. Over the years, LoDo changed from an early frontier town to a 1920s Market Street red-light district to a 1970s warehouse center. Designated a historic district in 1988, LoDo underwent major redevelopment during the 1980s and 1990s to become the vital neighborhood it is today. Arts, culture and fun highlight the draw of Lower Downtown. The combination of great mountain views, historic buildings and contemporary architecture have made LoDo popular for movie making and television. A strong population of restaurants and bars, sporting attractions and museums means this neighborhood offers plenty of entertainment just footsteps from home. Welcome home to LoDo.